Does Flat Head Syndrome Affect the Eyes? As flat head syndrome in babies has continued to rise, so too has speculation regarding a possible link between flat head syndrome and visual defects. Head shape deformities are thought to be linked to an increased likelihood of developing conditions like strabismus (eye misalignment) and anisometropia (significantly different prescriptions in the two eyes). But what is the nature of this relationship? Does flat head syndrome affect the eyes directly, or is the situation more complex? As with much research in this area, a causal link between flat head syndrome and visual defects has not been established. A dearth of empirical evidence has led to much speculation but no definitive answers. However, we can gain at least some insight from the small amount of literature available on the subject as well as several individual reports from parents and clinicians. In his review of the literature on occipital plagiocephaly,* Rekate notes a prevalence of strabismus, especially that involving vertical eye movements, amongst patients with severe forms of the disorder. He admits that few reports document the late effects of occipital plagiocephaly, including visual disturbances, and does not attempt to explain a mechanism underlying the proposed link. However, it appears that there is some kind of difference in children with plagiocephaly compared to their peers in respect of visual disturbances. While we might not know the precise nature of the relationship between severe flat head syndrome and visual defects, it does seem logical that being affected by the former might increase the chances of developing the latter. If the head is asymmetrical, it makes sense that this could affect facial symmetry, in turn affecting the eyes. The usual advice from doctors and health visitors is that flat head syndrome is ‘just cosmetic’ so there’s no need to worry. However, even if this statement is true it still does not rule out the potential for misalignment of the eyes – whether they are in good working order or not. Such advice fails to account for the potential emotional and social issues that can unfortunately arise as a result of having misaligned facial features. Even if flat head syndrome does not affect the eyes directly, the fact that severely affected children constitute a high risk group for visual disturbances is still cause for concern. If you are concerned that your baby has flat head syndrome, we recommend that you remain vigilant of potential complications and contact our experienced and professional team who will be able to advise you on the best course of action to take. Plagiocephaly and facial asymmetry are strongly linked and misaligned facial features are one of the most noticeable symptoms of the condition. Our recent blog post takes a closer look at this link, investigating the cosmetic outcomes of plagiocephaly treatment and the potential problems that may arise from misaligned facial features. Technology in Motion have developed the TiMband, a custom made flat head helmet which gently corrects the head shape as the skull grows, giving visible and permanent results. 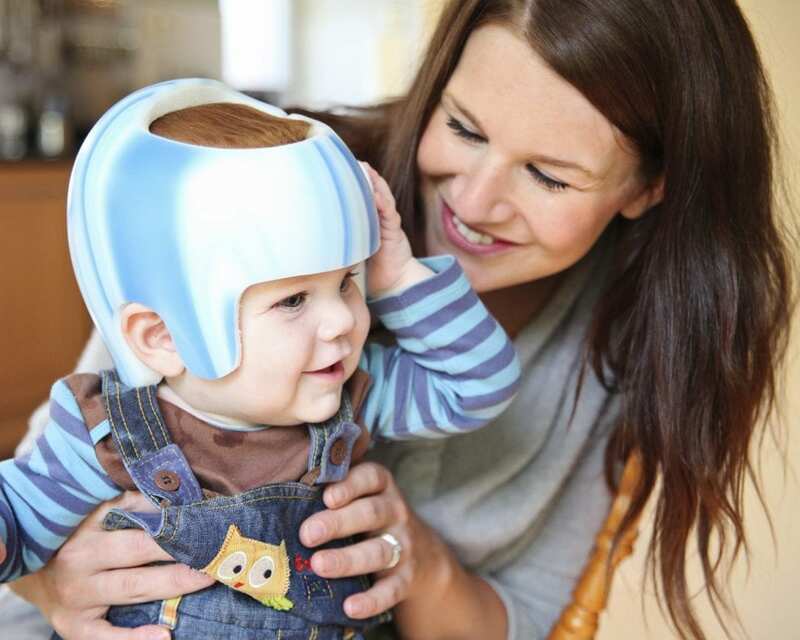 If you would like to book an appointment, or would like further advice on flat head syndrome and visual defects, call our expert orthotists today on 0330 100 1800 and we will be able to advise on the best form of treatment for your baby.